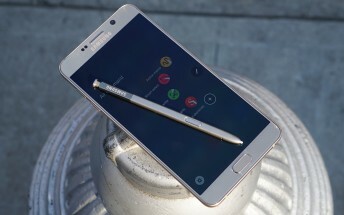 The latest Samsung smartphone to receive the coveted update to Android 7.0 Nougat is the Galaxy Note5. Specifically, AT&T's version of the last high-end phablet before the ill-fated Note7 came and went. Some owners of Note5 units purchased from AT&T have already installed the new software release, which is rolling out over-the-air as you read this. When you do get the notification, keep in mind that you'll have around 1.44GB to download, so maybe do that over Wi-Fi. Once you apply the update, your phone will run Android 7.0 and build number NRD90M.N920AUCU4EQC6. This comes with the March security patches included - too bad you don't get the absolute latest security level though. As always, the update's rollout is likely to be staged, so it may be a few more days before your particular handset can get it.